When it comes to choosing the right Digital Commerce Platform, you are spoilt for choice as there are countless options available. While selecting an eCommerce platform, you need to be more informed as your decision directly impacts the growth and success of your business. You must go for that option which offers you requisite features, functionalities, and ease of use. 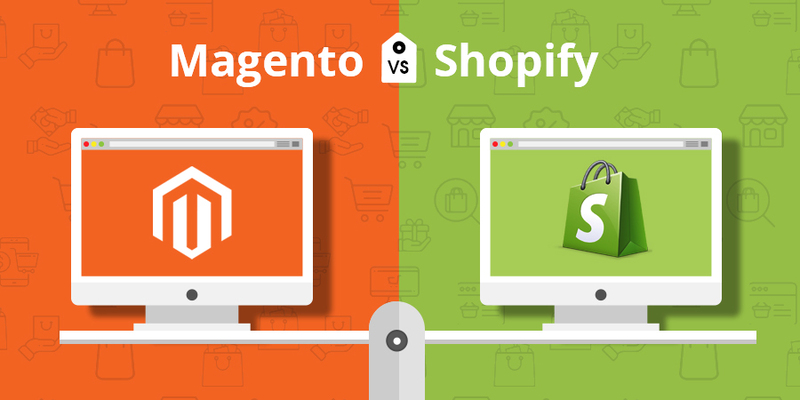 Among various available digital platforms, Magento and Shopify are the two most leading eCommerce platforms having their own merits as well as some downsides. In this article, we have compared both the platforms to help you make an informed decision. 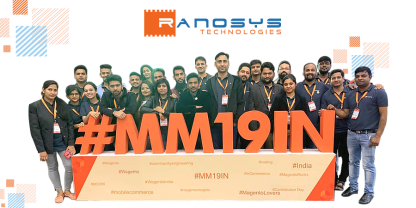 Magento is a flexible and robust eCommerce platform that offers extended plug-in architecture and several incredible features for tech-savvy store owners. This platform offers scalability and greater control over the content, functionality, and look-and-feel of online stores. Moreover, store owners can choose from thousands of themes and extensions available in the Magento Marketplace for their online stores. The two popular versions of Magento – Magento Community and Magento Commerce offer a lot of features to enhance the shopping experience of your customers. Shopify is a user-friendly, dynamic, and popular hosted shopping cart that can be installed easily. Some of the amazing features that make Shopify one of the most preferred platforms are: SEO-optimized, automatic mobile optimization, responsive and beautifully designed business templates, built-in payment processing, a drag-and-drop site builder, and 24/7 customer support. Shopify offers an easy-to-use and intuitive interface that allows you to move elements around the page to customize your store. It is easy to add products and set up payments using this platform. You don’t require much technical knowledge to manage your eCommerce portal with Shopify. Magento, on the other hand, is not so user-friendly and requires coding knowledge to reap the benefits of its full functionality. 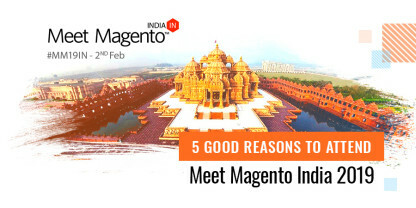 You need to invest a significant time to understand Magento’s interface. With Shopify, you don’t need a separate hosting as this shopping cart is fully hosted by Shopify itself. However, you have to pay a monthly fee for the maintenance of the platform. In case of Magento, store owners need not pay for downloading the platform, but are responsible for hosting of some editions. They need to hire a Magento expert to host and set up the Magento platform. But, Magento Commerce Cloud is an automated and managed hosting platform, created for Cloud infrastructure. Since Shopify is a completely hosted shopping cart, it offers limited customization options. Some user experiences, such as checkout, can’t be customized with Shopify. Magento offers full customization to store owners. You can add animations, featured product sliders, newsletter functionality, cross-selling blocks, etc. Pre-integrated modules (such as tax, payments, shipping) can be activated with a single click. As Shopify was engineered for B2C only, the apps and templates of this platform are unable to manage the complexity of B2B workflows and transactions. Magento is engineered to provide support for both B2B (the feature is available in Commerce Cloud Pro) and B2C. Both Shopify and Magento have a massive collection of free and paid customizable themes; however, Magento offers a lot of feature-rich options than Shopify. From the technical perspective, Magento themes require programming knowledge to install and modify. Shopify themes, on the other hand, are easy to install and modify and technical knowledge is not required to setup. Shopify is a hosted solution that doesn’t provide control over server level adjustments and hosting environment. In other words, store owners are unable to control speed and the overall performance of their eCommerce stores with Shopify. Moreover, Shopify has limits on catalog size and product attributes, thus, this platform is not suitable to cater to customers with unique selling requirements. Magento Community is a self-hosted platform that enables store owners to choose their own server and make requisite adjustments to boost the speed and performance of their eCommerce portal and apps. Magento Commerce runs on AWS (Amazon Web Services). Both platforms offer standard inventory management features such as product and pricing variations, inventory importing, inventory categorizing and filtering. Since Shopify offers limited advance features, it would not be considered the most suitable for large online businesses. 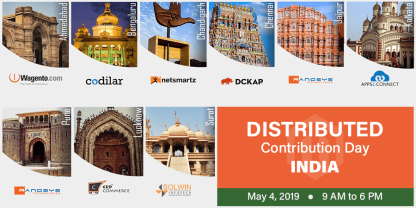 Magento offers several third-party services and advanced features for integrating a broader distribution network for better inventory management of your small as well as large online stores. Magento Order Management offers an order fulfillment system that enables cost-efficient, convenient, and flexible delivery, thus ensuring ultimate shopping experience for your customers. Shopify has a limited collection of add-ons as compared to Magento. The Magento Marketplace offers more than 3,600 extensions and add-ons with advanced functionalities and features. You can integrate these extensions to your eCommerce store without writing code. Shopify offers basic SEO functionalities to boost your SERP (Search Engine Results Pages) position. Shopify enables you to modify the file structure for search crawlers, optimize product and inventory pages, edit meta tags, etc. The limitation of this platform is; you can’t perform server-level configurations. Magento allows store owners to tweak the store design as per their SEO strategy. This platform leverages canonical tags, redirects, and no-follow links. Moreover, you can tune up permalinks for meta content and inventory items. You can integrate a custom solution or other payment options to Shopify for ease of payments. Magento also lets you configure and set up different payment options to enhance the capabilities of your eCommerce store, but this can be done with the help of modules. 10 of the top 500 companies listed on the Internet Retailer are powered by Shopify. Shopify offers dedicated customer support and service. However, the Shopify community comprises a limited pool of developers and partners. Magento provides community-based support. Magento has its own huge community of more than 300 Solution Partners and 60,000 developers, who are always eager to support you with your Magento related issues. They also keep on discovering innovative solutions to further enhance this platform. You can also seek support from a Magento partner agency that can help you with eCommerce store creation, set up, and management. Moreover, Magento Commerce Cloud also provides 24*7 customer support. Both Shopify and Magento assure the success of your online eCommerce store, but when it comes to keeping pace with future eCommerce trends and manage the complexities of B2B commerce, Magento is an ideal option for all business sizes. Unlike Shopify, Magento has vast possibilities and convenient built-in features. Magento enables you to transact in multiple countries and currencies, manage multiple multilingual stores, and allows you to leverage its Marketplace to enrich the functionality of your store. Magento 2, the new edition of Magento, has gained tremendous attention of store owners due to its flexible architecture, user-friendly back-end UI, and simple checkout process. Features like usability enhancements for Admin Panel, multi-warehouse support, new search capability, performance and scalability updates, and better preview functionality make the future of Magento 2 promising.